Network data is precious. In fact, it’s practically priceless when it is analyzed correctly, guiding the right actions for short-term optimization or long-term planning. Lost data, however, is worthless. So, you need to be sure the data is stored safely and secured against hacking or other damaging events. We hear all too often about data disasters, caused either by human error or a system malfunction. Data may become corrupted or parts of it are lost - in the most catastrophic situations, all of it may be lost. However, if it is properly stored and can be recovered, then problem solved. Data backup has changed. Time to keep up! Data backup may not be the most interesting topic when discussing cloud transformation, but it becomes the most critical part when something goes wrong. And it’s more challenging than it may first appear. Given the growth in mobile data due to the increasing number of data and network elements, how can you ensure your backups are up-to-date? With 5G networks on the horizon, more and more critical systems and businesses, such as connected cars, hospitals, factories and energy providers, are connecting to telco networks – bringing with them a massive amount of new data that needs to be backed up. 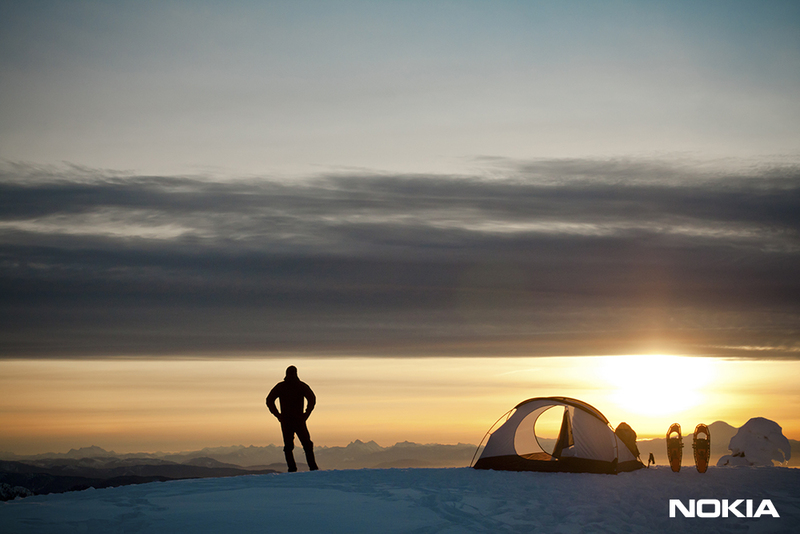 New market dynamics driven by the cloud are forcing companies to adapt. For example, increasing operational complexity also means a change in operations, making automated backup capabilities mandatory. Then there is the question of rapidly changing legal and security requirements, necessitating frequent, fast upgrades. Case by case, new legislation requires special approaches to data handling. Backing up a large amount of network data in a minimum of storage space in a world where cloud transformation places huge emphasis on transforming business and operations is not only possible, it’s available now. 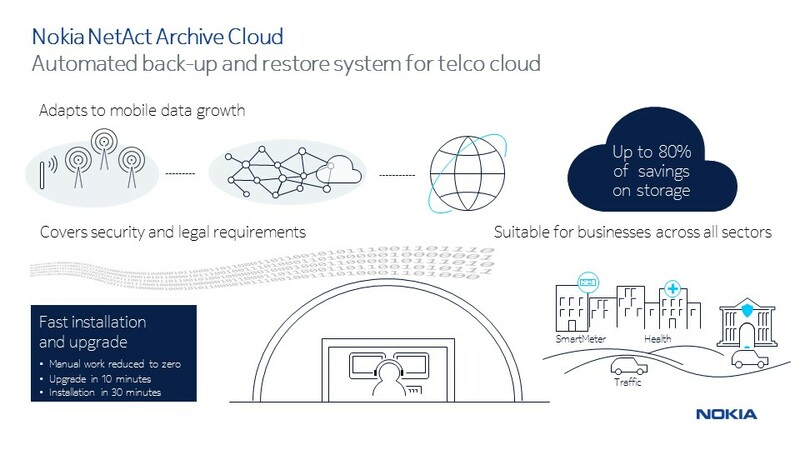 We’re answering the most critical challenges of network data backup with Nokia NetAct Archive Cloud, the first system to deliver automated real-time cloud back-up and monitoring capabilities for service providers in a secure manner. This system backs up and restores data from all Nokia products regardless of whether they are cloud based (VNFs) or bare metal (PNFs). The first service providers ready to benefit are moving with their legacy core networks to VNF based telco cloud. NetAct Archive Cloud supports Nokia VNFs out of the box and can be configured to support any third-party network element. Service providers can even add their own VNFs with a simple procedure. NetAct Archive Cloud further allows service providers to extract valuable insights from archived data. Armed with this information they can optimize future backup activities, save storage capacity and better manage the massive growth in network data. Fast installation and upgrades are essential to keep up with the telco cloud environment. To address this, NetAct Archive Cloud supports Nokia NetAct fast pass, which allows service providers to quickly deploy new network capabilities with minimal downtime. Cloud challenges touch all network management applications from A to Z and Nokia NetAct Archive Cloud is ready to meet them. Let’s start by ensuring your backup needs are solved! Pia Lukkarinen has 15+ years of marketing experience in OSS and is responsible for Nokia NetAct and Telco Cloud Management. And although she thrives on detective novels, she makes sure there’s no mystery behind the innovative world of OSS!